1. How and why did you decide to pursue a management degree? Coming from a traditional Gujarati family doing your own ‘bujiness’ as we say it was always on my mind. However, when I started my own venture with a couple my friends during the final year of my undergrad, we failed in managing the various management aspects of our venture. As a result, we had to shut our venture down and that is when I decided to pursue an MBA to understand the various intricacies of management. 2. How was your MBA Entrance exam experience? I started my MBA entrance preparation in my final year of the Bachelor’s degree. I used to work in a group along with 2 of my friends and we ensured that we were able to complete most part of the syllabus before the mocks began. Although I couldn’t qualify that year, the preparation helped for the next year as I only gave mocks and need to prepare the basics from ground up. Giving mock exams regularly and analyzing my mistakes in them went a long way in getting the desired result. 3. How has your SJMSOM, IIT Bombay journey been so far? 4. What were your expectations before joining this college and how different has the experience actually been? The campus has exceeded my expectations. It is one of the most tranquil places in Mumbai. We have the Sameer Hill from which you can see the Powai skyline and then we have the Powai Lake, which is equally calm and soothing. However, what strikes me the most is the amount of effort people put in various tasks, whether it is a class assignment or an inter hostel competition. That itself motivates to strive and work hard. 5. The first semester of MBA is really hectic. How did you manage your time effectively? Before joining SJMSOM, I knew that there is not going to be a free meal any day. Studying in one of the finest colleges in the country, you need to ensure that you are always on your toes and grasp as many opportunities as possible. The transition from working in a firm to college is a bit difficult but I used to prioritize my work every day in the morning and did not procrastinate which made life that much easier. 6. Can you state a few qualities or habits that have helped you thrive in your first semester? I think that if you remain calm and persevere through the initial days in the B school, then you learn to manage and get the best out of your time. I used to attend almost all classes as the instructors are among the best in the country and if you pay enough attention in class you can focus on other extra-curricular activities during the other time. 7. What aspects do you like the most about your college? In SOM, the student strength in a batch is only 120 and so rather than being colleagues and classmates it is a one big family. There is never a sense of internal competition among the batch mates and everyone will help everyone else. Also the seniors are always there to help us and would selflessly give up their sleep in order to help the juniors. This is one of the most amazing cultures we have at SOM and hopefully will continue in to the future. 8. What were your favorite subjects/areas of academic interest in the first semester? I really enjoyed the classes on Statistics as well as Marketing during my first semester. In statistics, the cases that we went through helped us in grasping a lot of statistical techniques and their application in daily life. Also in marketing, there were a lot of interesting case studies that were discussed in class. Also the course content is constantly modified to increase its relevance to the current context. When we discussed marketing strategies and its impact for a product as ubiquitous as Parle G, it was quite interesting as well as enlightening. 9. Any advice for other MBA aspirants? Ankit Nayyar, a first year student at Shailesh J. Mehta School Of Management, IIT Bombay is an Electronics and Communication engineer from NIT Allahabad. He has work experience of 20 months as a Software Engineer with Novell Software Development(I) Private Limited. Ankit here is sharing his experiences and life at SJMSOM, IIT Bombay with us. After completing my engineering, when I started working for a software development firm, I realized that apart from having a strong technical knowledge, one also needs to learn to manage different things to be more successful than the rest. I met many successful leaders during my college and work life and saw the stark difference between people who could influence, manage resources well and were respected all around and the people who barely completed their work and were not effective as managers or leaders. The latter type, more often than not, slowdown the growth of their subordinates, who do not have a sense of direction from their leaders. All of these highlighted the importance of a good leader and manager and I decided that if I wanted to be one, an MBA from a reputed institute such as SJMSOM would definitely give me an edge over others. At some level, I was already preparing to be a manager even before I started my MBA. As I was working while preparing for entrance exams, juggling between hectic office hours and exam preparation was challenging. It required discipline and committed efforts to keep me focused. I have always been relatively good at quantitative aptitude, so I directed my efforts towards verbal section. I religiously read newspapers every single day and that helped me quite a lot during the group discussions and the interviews that followed. Having soiled my hands with the mock tests well in time before the actual examination, I had developed a positive feeling and was confident about my preparation. I knew that maintaining my cool on the exam day would be the key to my success. This was exactly what I did, and it worked wonders. 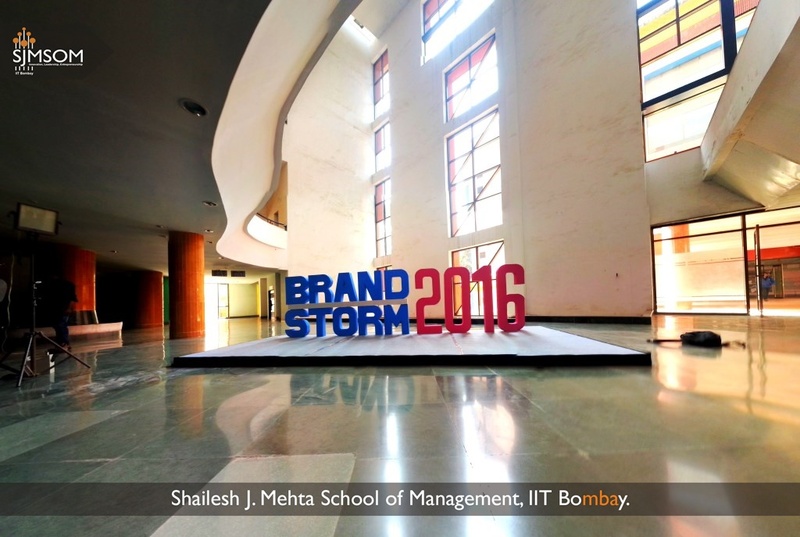 Getting into a prestigious B-school like SJMSOM, IIT Bombay was like a dream come true. The minute I stepped into the program, I found myself knee deep in a multitude of tasks and sessions. The first week went away in an attempt to realize the kind of transformation I needed to undergo to become a student once again. The student inside me was lost in the two years I worked as an employee of a firm. In the last few months I have realized that MBA is much more than just academics. You are out of our classroom and then you find numerous sessions from alums and industry experts, projects, presentations and assignments always waiting to keep you occupied. While it took a little time for me to adjust to this hectic schedule, I was surprised to find myself having a lot of fun just as once I did. The learning outside classrooms is what differentiates a good B-School from the rest and I feel that SJMSOM has been doing extremely well in that context as well. After reading and hearing about life at B-Schools, I was all set to roll up my sleeves when I entered the gates of the school. The first few weeks were exactly how it was expected to be, but once I adapted to the schedule, things started feeling lighter, I got to experience a variety of things in the campus. And while the going does get tough at times, other times are full of fun and enjoyment. Moreover, because SJMSOM is a part of IIT Bombay, this makes it different from the conventional B-Schools of the country. The rigor of a typical B-school is very well complemented here by the liveliness & innovation of a Tech school. Well, it was quite a challenge to begin with. I used to find myself with hardly any time to sleep, let alone keep in touch with family and friends. But I have learnt the importance of time management during that phase. I used to make a timeline in my mind for each day in the morning and I tried to make sure I stick to it. Sometimes when things took longer than expected, I just bumped off less important things from my list. Even then, I had to cut back on sleep a couple of days. The most important thing was to find time for self-study everyday, which made half of the things easier in the classroom. The most important quality that helped me in the first semester was definitely my punctuality. When you have it in-built in your system to be on time everywhere (even back to your room for self study, when needed), you just know how to manage your time before and after that. Apart from that, paying attention in the class and maintaining a track of what was being taught every day helped me keep pace with my studies. I also constantly read newspapers with articles related to what was being covered in course, which helped me develop a comprehensive understanding as well as increased my interest in the subjects. As I already mentioned, the best thing about SJMSOM is the fact that it is a part of IIT Bombay, and that keeps the spirits high at all times. Moreover, the college offers an opportunity to pursue our hobbies and passions, be it sports, music dance or anything else, if we really want to do something, the college provides excellent guidance and infrastructure. Also, the Professors here are approachable and their way of teaching helps bring out new ideas about things in the minds of students. Another very important part is the help from the seniors. I am not sure about the participants in other B-Schools; we definitely received a lot of guidance and help from them. The whole culture within the school about cooperative relationships and everyone, even the professors, always eager to learn and improve is truly motivating. The first semester was full of interesting subjects, out of which, I personally liked the courses on Financial Accounting, Economics and Operations Management more than the rest. These subjects helped me to enhance my interest in the field of Finance and provided me with a good base to build my problem solving skills on. I also enjoyed the course on communication. It was very useful and helped me overcome some inhibitions I had, prior to the course related to interpersonal communication. I think it is good to have an idea of what you are expecting from an MBA course. This is important because MBA presents a plethora of opportunities and if one can plan ahead in time and figure out a direction for himself then he can most efficiently gain from such a dynamic course. Apart from that, it is very important to be informed about the changes that happen around the world. MBA can only help you enhance what you already are. Choosing specialization subjects blindly can impact your career irreversibly. Apart from that, keep your cool during the selection process and don’t get disappointed when things do not go your way. You will end up where you are most fit to be.